Senate Floor. The Senate will vote Thursday afternoon on two amendments to HR 268, a House-passed bill providing disaster aid and re-opening the government through Feb. 8. The first amendment would implement the proposal President Trump offered on Saturday to end the partial government shutdown. It would provide $5.7 billion for “a physical barrier along the highest priority locations of the Southwest border” and delay for three years deportation of Dreamers who are protected under DACA, the Deferred Action for Childhood Arrivals program. The amendment would also provide $12.7 billion in disaster aid as well as funding through Sept. 30 for all agencies and departments whose FY 2019 appropriations bills have not yet been enacted. Democrats have said they would not support the proposal, which also drew criticism from some conservative quarters, so it won’t garner the necessary 60 votes for approval. The second amendment is by Minority Leader Chuck Schumer (D-N.Y.). It is identical to HR 268’s provisions for disaster aid and funding through Feb. 8 for those parts of the government that are currently shut down. When HR 268 passed the House Jan. 16, six Republicans supported it. However, the proposal is not expected to get enough Republican support in the Senate to reach the 60-vote threshold given the President’s continued opposition to legislation that does not include funding for the border wall. House Floor. The House this week will vote on a package of six appropriations bills, which, for the most part, track the funding levels set out in the first amendment that the Senate will consider Thursday. 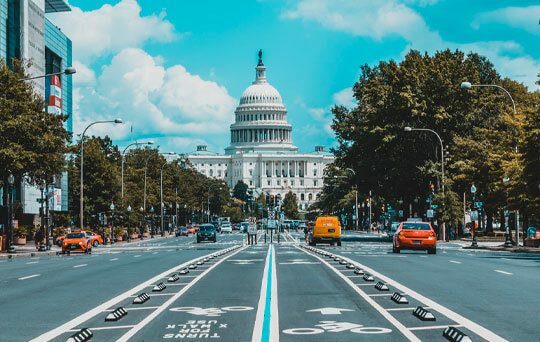 Last year, House and Senate conference committees reached agreement on four FY 2019 bills – Agriculture, Financial Services, Transportation-HUD, and Interior-Environment. Those agreements were never brought to the floor for votes in the House and Senate. Informal negotiations reached agreement on two other spending bills -- the State-Foreign Operations and Commerce-Justice-Science measures. It is the negotiated versions of those six bill that are contained in the House package (HR 648). The only other outstanding bill for FY 2019 is the Homeland Security appropriations, for which there was no agreement between House and Senate negotiators because of the dispute over border wall funding. Democrats had considered voting this week on a Homeland Security appropriations bill that has increased funding for border security but not for the border wall. However, the plan now is to instead vote on a continuing resolution for Homeland Security through Feb. 28. The House will also take another vote on a continuing resolution to re-open the government through Feb. 28. The measure was approved Thursday, Jan. 17, on a voice vote, but Republicans either didn’t call for a recorded vote or there was a request for a recorded vote that the presiding officer didn’t hear. Confusion and partisan bickering ensued. The matter was resolved when Majority Leader Steny Hoyer (D-Md.) agreed to vacate the voice vote and scheduled a recorded vote for Wednesday. State of the Union. The drama continues over the President’s State of the Union address. On Wednesday, Jan. 16, House Speaker Nancy Pelosi (D-Calif.) wrote the President, suggesting that “we work together to determine another suitable date after government has re-opened for this address or for you to consider delivering your State of the Union address in writing to the Congress on January 29.” The latest news today is that White House officials are telling reporters that the President intends to be at the Capitol on Jan. 29 to deliver his speech as scheduled. A backup plan to deliver the speech in a location other than the House chamber, possibly outside of Washington, D.C., is also being considered. Next Tuesday’s date was originally set on Jan. 3, when Speaker Pelosi sent President Trump a letter inviting him to address a joint session of Congress on Jan. 29. Both the House and Senate have to pass a concurrent resolution for there to be a joint session of Congress. Since that has not yet happened, there is a great deal of speculation as to whether Pelosi will even schedule a vote on the resolution. If the President does deliver a State of the Union address somewhere on Jan. 29, there’s a good chance that the speech will include a call for increased investment in the nation’s infrastructure. There’s bipartisan support for an infrastructure package, in general, but no agreement as to how it should be funded. Reuters reported Friday that some 20 Administration officials, including Transportation Secretary Elaine Chao and Treasury Secretary Steven Mnuchin, met with the President and Vice President on Jan. 15 to discuss aspects of a potential infrastructure plan that could span 13 years. The hour-long discussion reportedly included consideration of whether to include modernization of the nation’s air traffic control system in the infrastructure initiative.